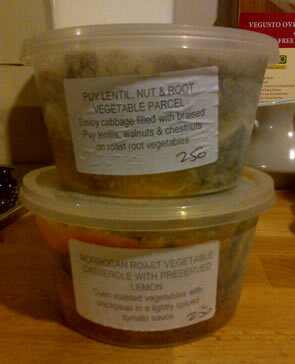 The marvellous Long Causeway Trading Company make two delicious vegan ready meals. They come frozen in microwaveable containers. You’ll need a carb with it – cous-cous is really quick. 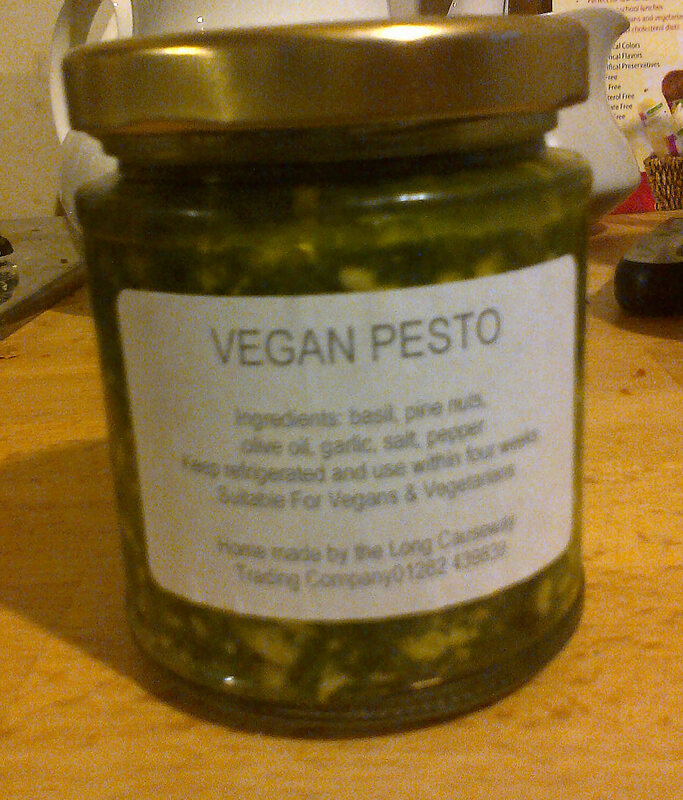 They have also started making a vegan pesto. Their bread is also vegan. Maybe there’ll be some vegan cakes soon, who knows. Long Causeway sell at various markets around the area, including Hebden Bridge and Todmorden on Thursday, Saturdays and some Sundays. Bravo – thanks, Long Causeway.